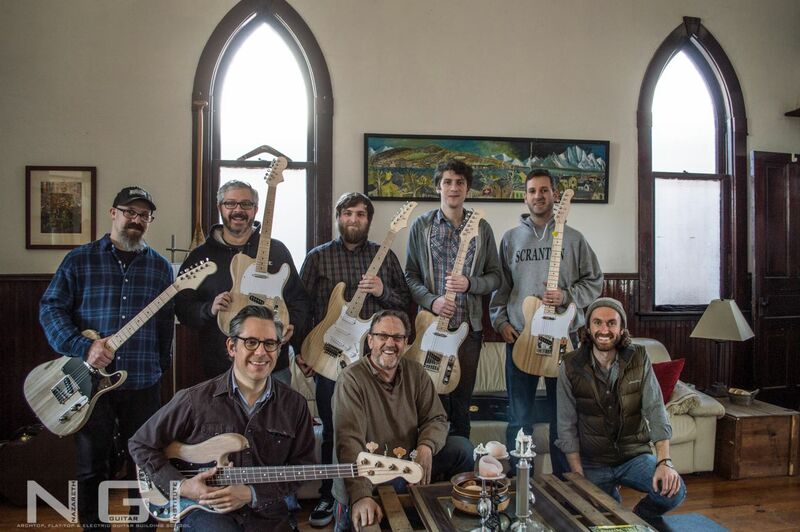 Last weekend I took a 3-day electric guitar building workshop at the Nazareth Guitar Institute. I learned a lot about fretwork and setting up a guitar, stuff I didn’t know before. Also, I need to get a lot of very specialized tools if I want to work on my own guitars. I guess Stew-Mac should expect an order soon. The guitar sounds great, I wasn’t expecting such a quality build. The neck seems to be settled in mostly. I’ll give it a final set-up soon. I want to finish it a nice butterscotch blonde, with an amber neck – just like a classic vintage Tele.